This festive season, celebrate a truly magical Christmas at Singapore Changi Airport with a string of fun-filled activities for the entire family! The Christmas fantasy theme involves the creation of a Christmas wonderland with whimsical trees and fantasy characters. A magical teapot features right in the middle of Terminal 3’s Departure Hall where airport visitors can experience hourly light-ups complete with exciting effects, and a chance to win great prizes. At hourly intervals from 7 to 10pm on weekdays and 1 to 10pm on weekends, colourful balls will emerge from the magical teapot. Participants with balls of the winning colour, to be announced after the balls are dispensed, will win attractive prizes such as air tickets, F&B vouchers and more. Children will be delighted to hear that the popular Christmas Fantasy Castle will be making a return. Children can have a go on the 17 metres wide and eight metres tall bouncy castle at Terminal 3's Departure Hall from December. All they need is to present a receipt with any amount spent at Changi Airport. 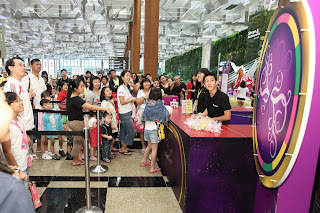 The castle will be open from noon to 10pm daily at Terminal 3’s Departure Hall Row 11. 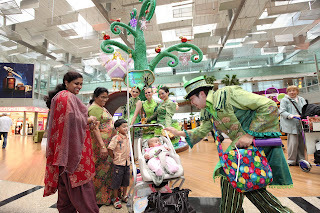 Travellers will also be entertained by daily song and dance performances by Fantasy Characters donning fanciful costumes and street magicians in Changi’s transit malls. 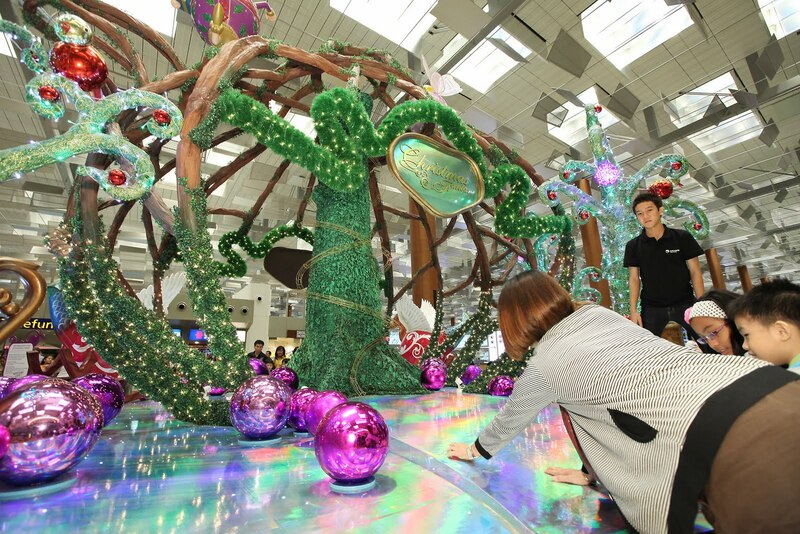 Shoppers will also win exclusive Changi premiums from Christmas Fantasy Gift Houses located across the terminals with a minimum spend at Changi’s retail and dining outlets. Avid shoppers are in for a treat this holiday season. Introducing blogshops@Changi, a blogshop bazaar retail concept at Terminal 3’s B2 Mall will feature three thematic retail zones offering ladies’ fashionwear, kids’ merchandise, as well as gadgets and gift items from popular blogshops. From 4 December 2010, Blogshops@Changi will operate on weekends from 10am to 11pm.